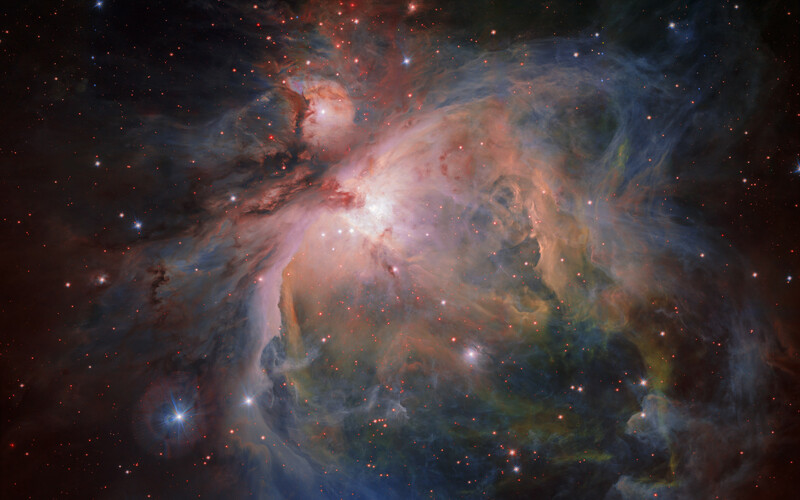 OmegaCAM — the wide-field optical camera on ESO’s VLT Survey Telescope (VST) — has captured the spectacular Orion Nebula and its associated cluster of young stars in great detail, producing a beautiful new image. This object is one of the closest stellar nurseries for both low and high-mass stars, at a distance of about 1350 light-years . The Orion Nebula has been studied by many of ESO’s telescopes, including images in visible light from the MPG/ESO 2.2-metre telescope and infrared images from VISTA (eso1701) and the HAWK-I instrument on the Very Large Telescope.